Looking for a fun way to show your friends or family that you are thinking of them? 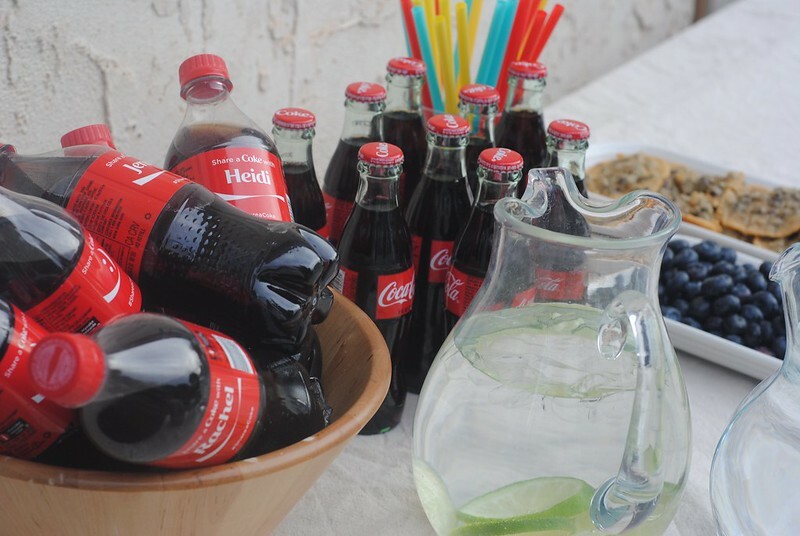 Pick up a personalized 20 oz Coca-Cola — now more names!! — at your local Walmart. 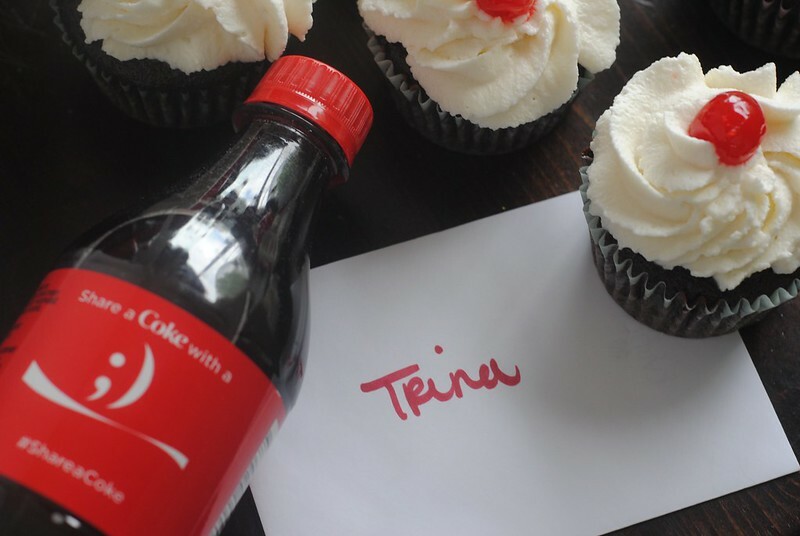 You can even use it to make these yummy Coca-Cola Cupcakes! Before it is full-fledged summer, I wanted to get together with all of my friends. It feels like every summer we intend to spend time together, but with everyone’s trips and kids home, we don’t ever seem to find the time. What better way to remedy this than with a girl’s night? I wanted to take advantage of the situation and let my friends know how much I really care about them, and how grateful I am for their example in my life. These women are truly incredible and I want them to know it! I headed to Walmart to pick up some personalized Coca-Cola 20 oz bottles. 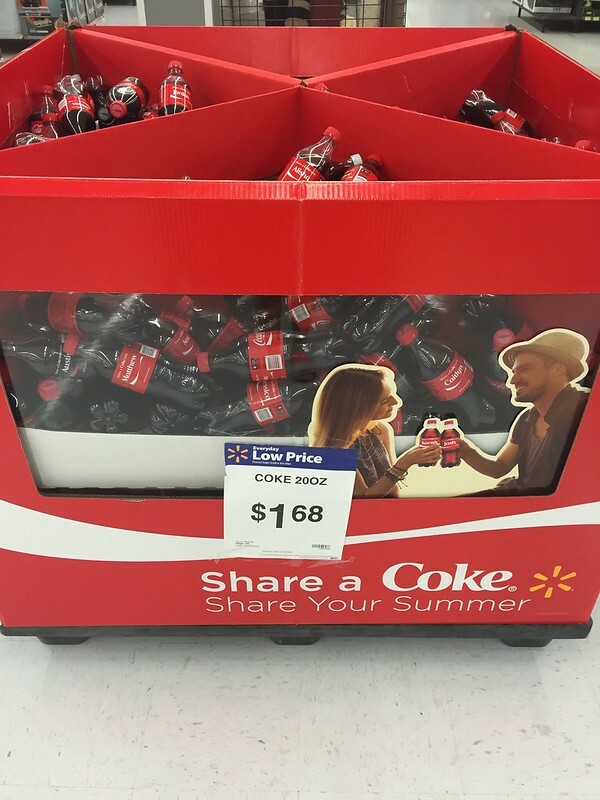 Walmart has created new bins to make finding a name bottle easier. I loved that they had a large bin with tons of bottles in them. It was so much easier than digging through shelves of bottles to find the names I needed. Walmart also has the widest and most organized selection of Coca-Cola personalized 20 oz bottles. You can find the Cokes in large pins (pictured above), in coolers, or on the shelves on the soda aisle. 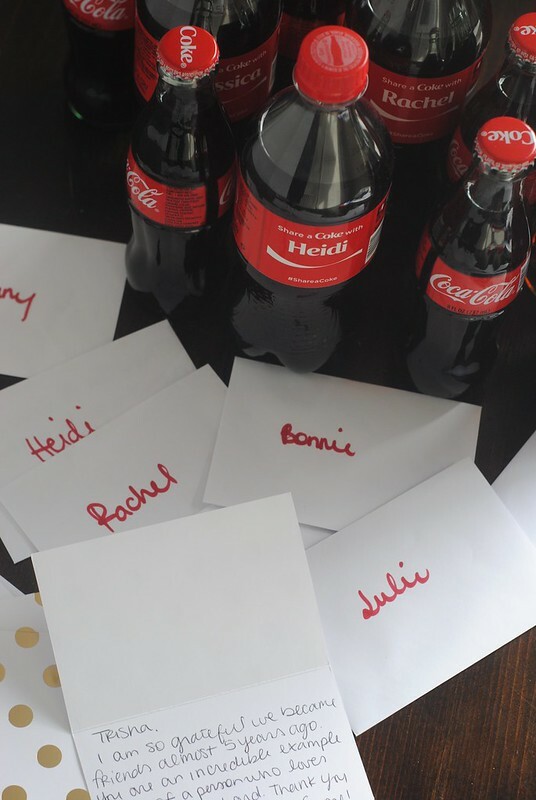 I gave each of my friends a Coca-Cola and a note telling them how grateful I am for their example in my life. My friends and I had such a great time! We stayed up chatting for hours and enjoying yummy treats and delicious Coca-Cola. It was so much fun that I forgot to take a picture of the whole group together! Some of friends couldn’t it make it to the party due to new babies or sick kids, so I wanted to take them a treat with their Coke and note. 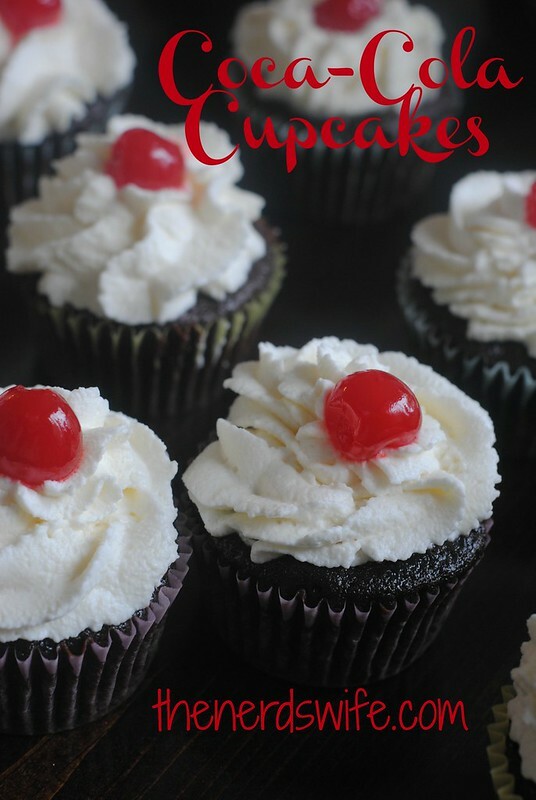 These Coca-Cola cupcakes were the perfect addition and were so easy to make. I hope you try them out. Preheat the oven to 325 degrees F. In a small saucepan, heat the Coca-Cola, cocoa powder, and butter over medium heat until the butter is melted. Add the sugars and whisk until dissolved. Remove from the heat and let cool. In a large bowl, whisk the flour, baking soda, and salt together. Add eggs to cooled mixture and whisk them. Gently fold the flour mixture into the cocoa mixture. The batter will be slightly lumpy – do not overbeat. Pour the batter into the prepared cupcake liners and bake for about 20 minutes, rotating the pan halfway through the baking time. 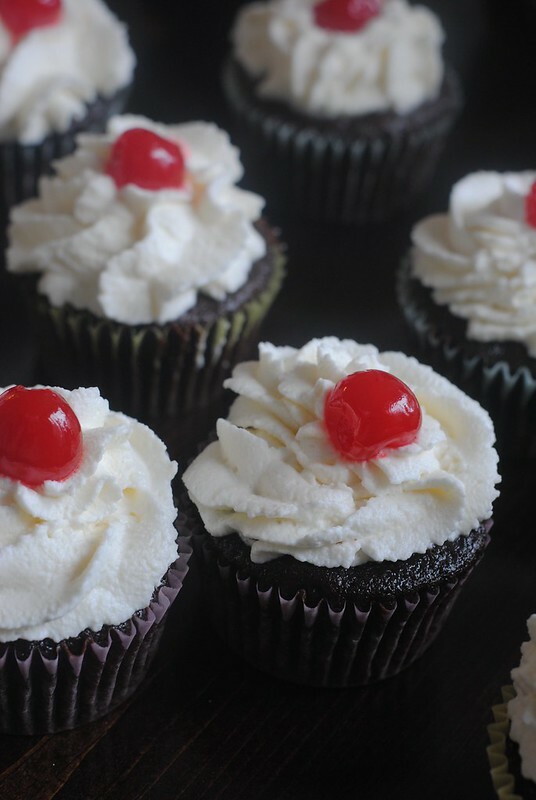 Transfer the cupcakes to a wire rack to cool completely. In a mixer, beat whipping cream, powdered sugar and vanilla extract until medium peaks form. Transfer to pastry bag and pipe onto cupcakes. 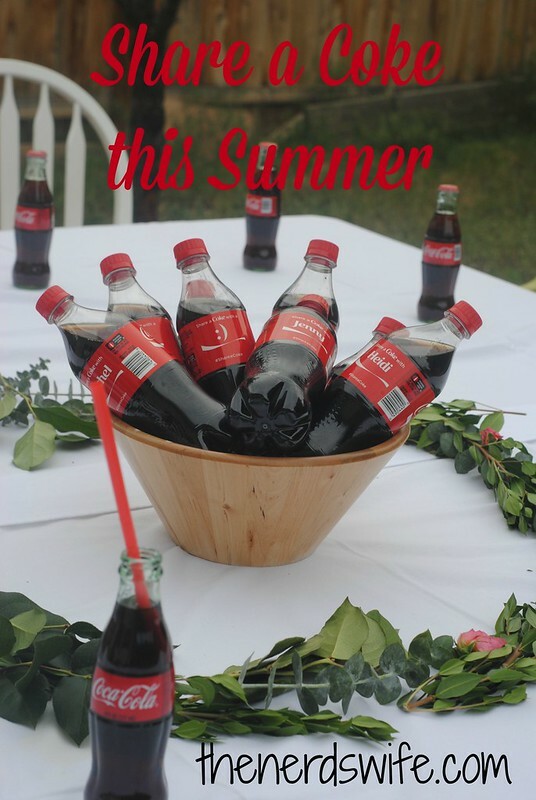 What are you looking forward to this summer, and with whom would you Share a Coke? I’d love to hear your comments and ideas!